Summary: Amar Varma, a producer for Indian news radio, meets an enigmatic woman at a railroad station and then again at a hill station. He falls in love with her, but the woman, who calls herself Meghna, rejects and leaves him although she seems to be interested. Later, Varma agrees to marry his family's choice, Preeti. But suddenly Meghna is back, and what is the secret that she holds? Dil Se is a 1998 romantic thriller film written and directed by the celebrated Indian filmmaker Mani Ratnam. Co-produced by Bharat Shah, Shekhar Kapur, Ram Gopal Varma, and Mani Rantam himself, Dil Se stars Shah Rukh Khan and Manisha Koirala in the lead roles. The movie costars Preity Zinta (in her film debut), Raghuvir Yadav, Zohra Sehgal, Piyush Mishra and Arundhati Rao. Dil Se is third in Mani Ratnam’s trilogy of films (following Roja and Bombay) revolving around couples/lovers caught in the turmoil of politics and terrorism. The film presents the tale of a Delhi-based radio broadcaster named Amarkanth Varma who gets ensnared by the bewitching beauty of a mysterious Assamese girl, Meghna alias Moina, whom he meets at a deserted railway station in the middle of a rainy night. What starts off as physical attraction slowly takes the form of obsessive love as he chases her down from Haflong to Silchar to Ladakh with the hope of marrying her. Alas, their love is doomed! While she knows it from the very onset, he must learn it the hard way. Dil Se is a great example of what can be achieved in front of the motion-picture camera when a bunch of creative people, hell-bent on proving their mettle, come together, keeping their egos aside. At the time, Shah Rukh Khan and Manisha Koirala were already at the peak of their acting careers while Mani Ratnam (riding high on the success of Roja and Bombay) had just established his film company in collaboration with Shekhar Kapur and Ram Gopal Varma. Add to this enormous pool of creative talent, a lyricist like Gulzar, composer like A.R. Rahman, singer like Sukhwinder Singh, cinematographer like Santosh Sivan, choreographer like Farah Khan, and a dialogue writer like Tigmanshu Dhulia. Voila, we have all the ingredients needed to concoct a cinematic masterpiece! Mani Ratnam’s magnum opus, Dil Se is not just a masterwork of cinema but is also one of the best romantic thrillers of all time. And just like Roja and Bombay, he finds a way to camouflage the socio-political commentary to go with it. But it is the delicate manner in which Mani Ratnam blends the elements of romance and suspense is a living testament to his creative genius. The songs in Dil Se are more like lyrical poetry with delectable references to the flowery verses of Ghalib (Ishq Par Zor Nahin Hai Yeh Woh Aatish…) and Iqbal (Sitaron Se Agay Jahan Aur Bhi Hain…). But the poetic feel is not merely limited to songs, for the film in itself has an inherent poetic quality: be it Santosh Sivan’s cinematography, or Tigmanshu Dhulia’s dialogues, or Farah Khan’s choreography or A.R. Rahman’s music. It is the interplay between the elements of drama and poetry that lifts Dil Se beyond the usual limits of an ordinary tale of love. The subtle and hitherto segregated dramatic and poetical elements are all unleashed in unison when in Leh a hysterical Amar encounters Meghna and confronts her for inflicting tremendous emotional and physical pain (for getting him brutally beaten up back in Silchar) on him. Here, Shah Rukh Khan and Manisha Koirala share some very high intensity scenes seldom seen in Hindi films. In one of the scenes Amar, in a rush of madness, forces himself on to Meghna, causing her to have a panic attack. Later on, during an intensively poetic scene, Amar reveals that he both loves and hates Meghna's mystical eyes because he is unable to see the world hidden behind them. Now widely considered a classic, Dil Se despite doing well in the overseas markets had failed to woo the Indian audiences. Till date it remains Shah Rukh Khan's most mature work. His devastating portrayal of an All India Radio programme executive madly in love of a mystical beauty, whom he knows can never be his, carries the hallmark of an actor working at the height of his powers. No wonder Khan became the nation's heartthrob in the '90s in spite of doing some highly unconventional movies like Darr, Baazigar, Anjaam, Kabhi Haan Kabhi Naa, etc. 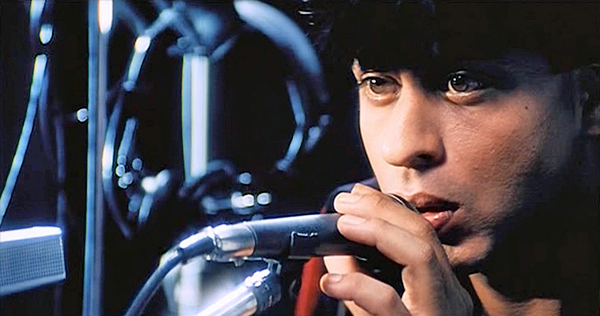 Although he has only grown in stature since then, his later performances certainly pale in comparison to Dil Se. Post mid-2000s, he has been coming across as a spent force and his most recent performances have been utterly disappointing to say the least. 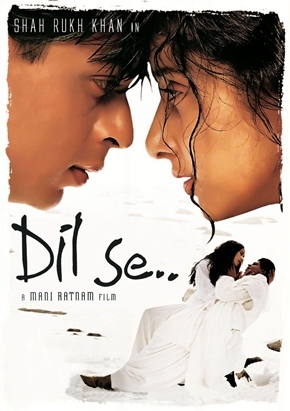 Dil Se turned out to be a particularly challenging film for both Shah Rukh Khan and Mani Ratnam since the former didn’t speak Tamil and the latter didn’t know Hindi. So, they had to contend with the difficulty of communicating in a phonetically alien language like English. It is for this reason that Mani Ratnam relied upon three scripts—one in Hindi, one in English, and another one in Tamil. It certainly must have been a daunting task but the actor-director duo managed to pull it off. If Shah Rukh Khan’s heart-breaking performance is the heart of the film then undoubtedly it is Manisha Koirala’s beguiling performance that gives the movie its soul. Austerely dressed and with minimal make-up and sparse dialogue, she sets the celluloid on fire with her bewitching innocence. A lot has been said about Manisha Koirala’s classic ethereal beauty but here she looks prettier than ever. Her other performances (Khamoshi and Bombay included), as good as they are, are no match to this one. As Meghna, she is both the hunter and the hunted: a quintessential femme fatale destined to be doomed. During the portrayal she goes through a gamut of emotions as we get to witness her unbridled innocence, cold detachment, epileptic delirium, playful interludes, vengeful rage, and serene submissiveness. Apparently, Kajol was Mani Ratnam's first choice to play the part. Today, it seems impossible to even imagine anyone other than Koirala essaying the enigmatic role of Meghna. Among all the scenes featuring Koirala, it is the scene in which her character experiences an anxiety attack that’s absolutely magical to watch. Magnificently dressed in black during the Ladakh sequences, Koirala is a sight to behold. It's difficult to think of another Bollywood actress with such a remarkable gift of enchanting beauty and natural acting talents. There is poetic beauty in Amar and Meghna’s romance—almost a sort of divine connect that brings their romance to life. Dil Se follows Amar through the seven stages of love that are defined in ancient Arabic literature: attraction, infatuation, love, reverence, worship, obsession, and death. Amar's ever increasing pain and suffering are evident in each and every scene. And while Meghna chooses not to reciprocate his feelings for the most part, she doesn't remain untouched by the purity of his love for very long. The devastating climax offers a perfect closure to their heart-breaking romance. Khan and Koirala are well supported by the rest of the cast. Credit to Mani Ratnam for eliciting memorable performances from not only his leading actors but also from the movie’s supporting cast well led by the debutante Preity Zinta who shares some memorable moments with Shah Rukh Khan, especially during the beautifully filmed song "Jiya Jale". Alas, all great tales of love are essentially tragedies! Dil Se is no different. Overall, Dil Se is a powerful work of cinematic art that certainly deserves more attention than it has received during the last decade and a half. Many Indian critics had described it as a failure at the time of the release but the fact remains that considering the general trend of filmmaking in the ‘90s, Dil Se was actually well ahead of its time. Also, the movie’s devastating ending didn’t go well with most Indian viewers. However, the film was quite successful internationally. Not only did it win the Netpac Award at the 1999 Berlin International Film Festival but also went on to become the first Indian film to enter the Top 10 in the UK box office charts. Dil Se is technically brilliant and aesthetically beautiful: Mani Ratnam masterfully weaves an unforgettable tale of love in the backdrop of terrorism. A. R. Rahman's haunting background music (Dil Se Love Theme, in particular) and Santosh Sivan's startling cinematography beautifully add to the movie's overall poignant tone. The dance sequences imaginatively choreographed by Farah Khan and the exotic shooting locations simply transcend the viewer to a world of Sufi romanticism and Urdu poetry. 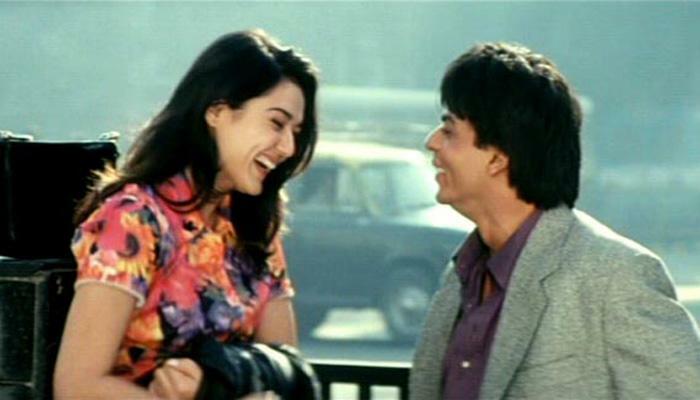 And, of course, the sizzling romance between Shah Rukh Khan and Manisha Koirala tugs straight at the heartstrings. Then there is the popular number "Chaiyya Chaiyya" that is filmed on the roof of a moving train. One can't really ask for more! Dil Se is simply an essential watch. Note: The readers are encouraged to watch Dil Se back to back with Lars von Trier's Europa (1991). Your description of this gem is as good, if not better, as the film itself! It's been decades since this masterpiece was crafted yet its magic,innocence,vulnerability...class is unparalleled. This is what SRK is capable of when it comes to romance. This is what romance is. This is what being ahead of its time means. Dil se... Is like old wine. The more time elapses, the better it looks. Nothing comes closer to the experience that Dil se was. Only Imtiaz Ali in my opinion, can come closer to Mani Ratnam in terms of depicting romance. I wish I could see more of such films then and now!